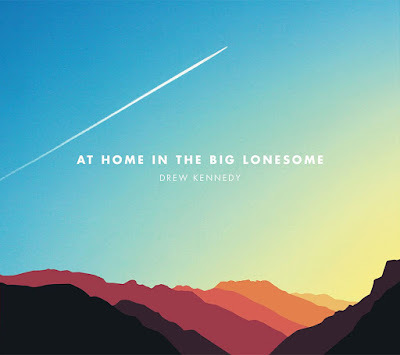 It makes only sense in a year in which Texas native Drew Kennedy had much of his home state seriously damaged by a ravaging hurricane that his 8th album would be his most serious and intimate to date. For those that believe Texas is filled with just honky-tonk and swing music, this project borrows more from James Taylor and Don Williams than it ever does Asleep at the Wheel. It's excellence beyond expectation and compare. Drew has always been an intellectual writer, but he has hit his stride on this unbelievable album. From the opening piano-laden track "When I'll Miss You Most," he reaches right in your chest and grabs hold of your heart. For anyone who has experienced loss, it's beautifully tragic and meaningful all at once. Not a word is wasted and the production allows the lyrics space to live like Walt Whitman's finest prose. Song after song, you come to the realization that each and every song is just so damn smart. On "Cream and Sugar," he has me crushing so hard on the waitress and stranger he's describing, my wife ought to be jealous. Kennedy's gift is that he can find the beauty and specialness of what typically goes unseen. Whether that's an old motel sign or the feeling of the breeze upon your skin, he has a poets knack for creating visual and tactile image from a spoken word. It's not that what Kennedy says is overly profound- although there are parts of the project that are emotionally heavy. (A home imploding on "House" comes to mind.) It's that what he says is overly interesting. You find yourself hanging on each sentence and lyric because they deliver an observation in a way that you haven't heard before. This is a storyteller songwriting at the very peak of expertise. It makes up one of our very favorite albums of 2017.